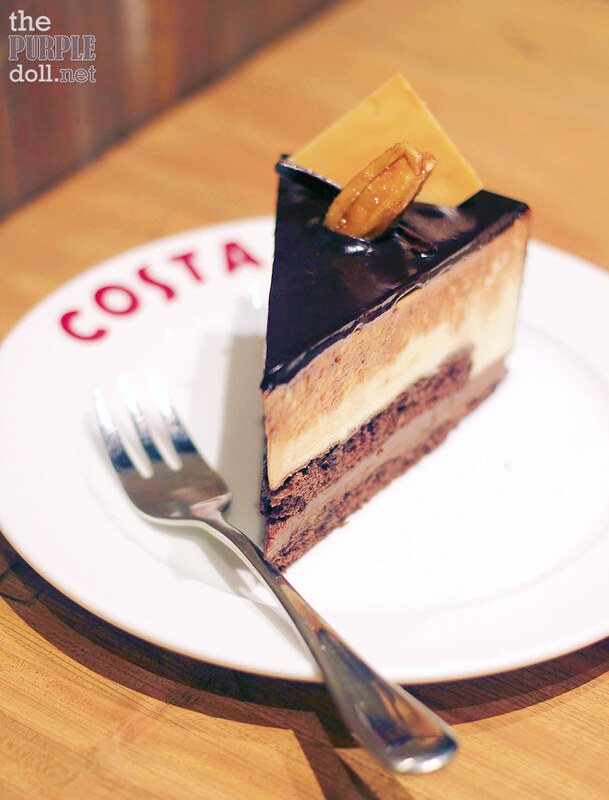 Costa Coffee: UK's #1 Coffee Chain Now in Manila! Being a coffee lover, or coffee shop lover rather, I've found it assuring to have cafes almost everywhere. When I decide to chill at a coffee shop on a whim, there's never a shortage of coffee joints -- whether it be a popular chain, or a quirky hole in the wall. 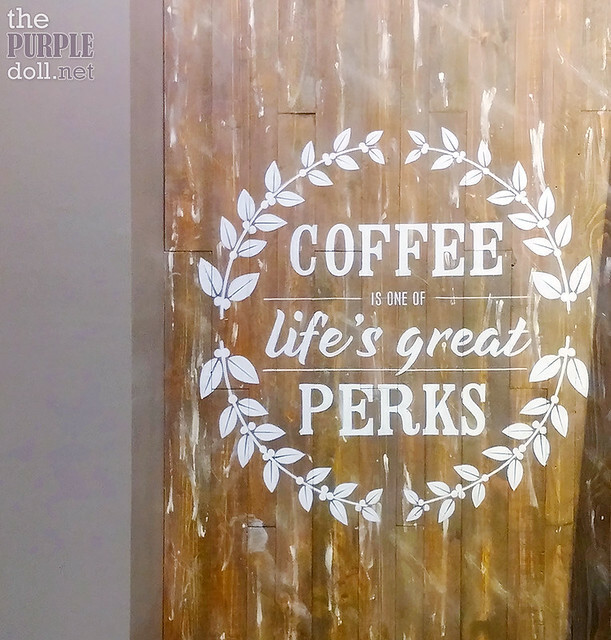 But even though I've picked out a few favorites, I'm always on the lookout for new coffee shops to enjoy and unwind in. And I'm sure glad that Costa Coffee has now arrived in Metro Manila! 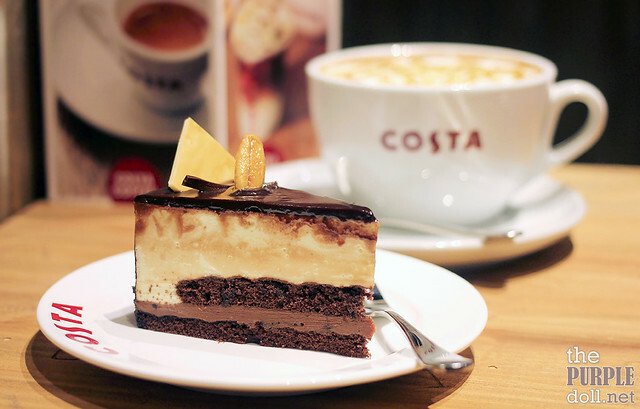 After being founded in London in 1971 by brothers Bruno and Sergio Costa, Costa Coffee has since then evolved into becoming the largest coffeehouse chain in the United Kingdom, with over 40 years of experience and more than 3,000 stores worldwide. The chain has pride itself in offering all handcrafted and espresso-based coffee, giving every serving the aroma and body only a proper cup of coffee should have. 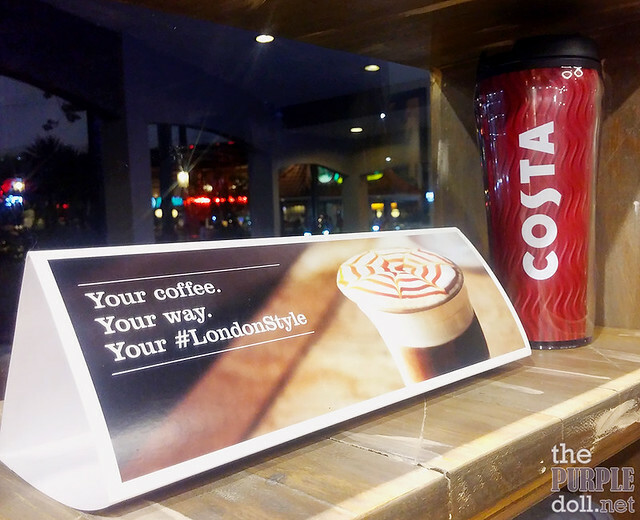 Costa Coffee in Eastwood has a simple and pretty straight-forward interior design, with warm yet dim ambient lighting and cozy wooden accents that remind us of our love for good coffee. This branch has decent-sized ground floor which can sit no more than 20 people, but there's also an al fresco (or smoking) area, as well as a roomier second floor. 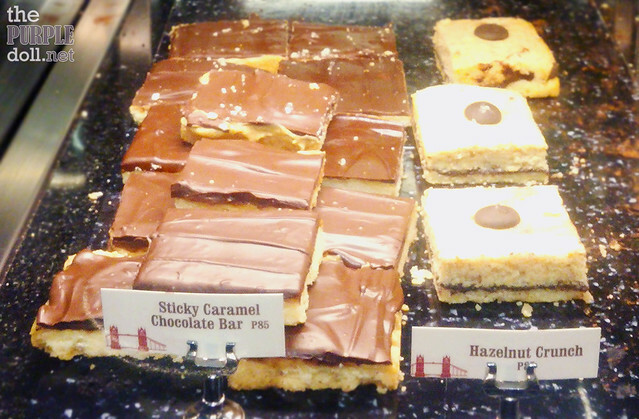 It didn't take us long to take our picks from Costa Coffee's coffee menu, and glass display chiller of sandwiches, cakes and other pastries. 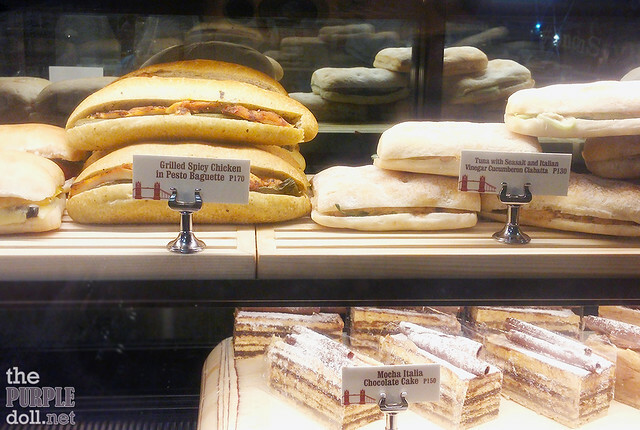 But since we visited in July when Costa Coffee was still on soft opening, the wait for our orders was slightly long, albeit easily forgivable. I decided to go for the Caffé Caramela for something hot yet still exciting. Got myself the Medio size, and boy was I surprised when I received my order! Their medium is big! (ﾉ✪ฺД✪ฺ)ﾉ~ I usually get the medium size in other coffee shops since the smallest one would always be too small for me. So don't say I didn't warn you... Sizes are pretty big at Costa Coffee. 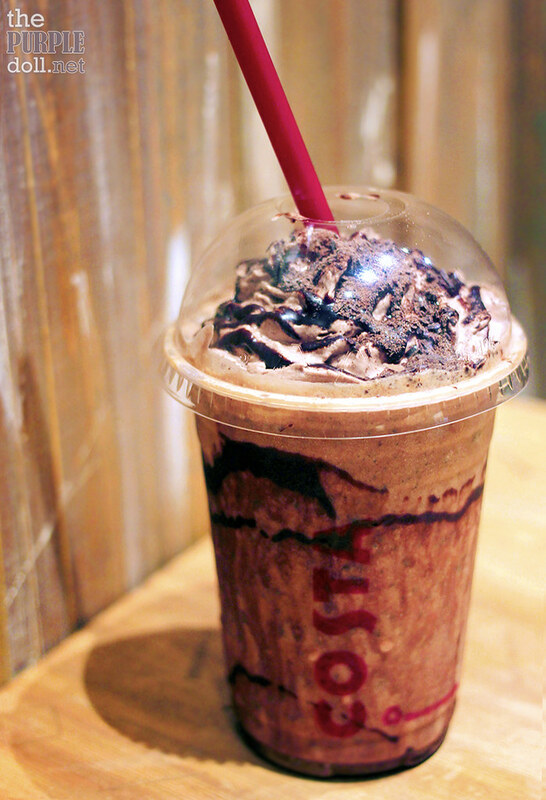 The boyf on the other hand, had the Dark Chocolate Cookie Mocha Frostino which is an ice-blended coffee and chocolate concoction, also in Medio. And just like what its name implies, the drink has bits of cookies which the boyf enjoyed. It's generally more on the bitter end of the spectrum, which couldn't make the boyf any happier. He just loves his bitter coffee! (●´ω｀●)ゞ We both wished there were more hints of chocolate sweetness though. To pair with our coffee, we also had a slice of the Sinful Chocolate Cake. I'm usually the taste-over-looks kind of gal, but this cake just looks too pretty! Neatly cut, with beautiful layers of mousse and sponge... And how can I not mention that lustrous chocolate ganache that sits perfectly atop? I just had to take loads of photos to immortalize the beauty of this cake! 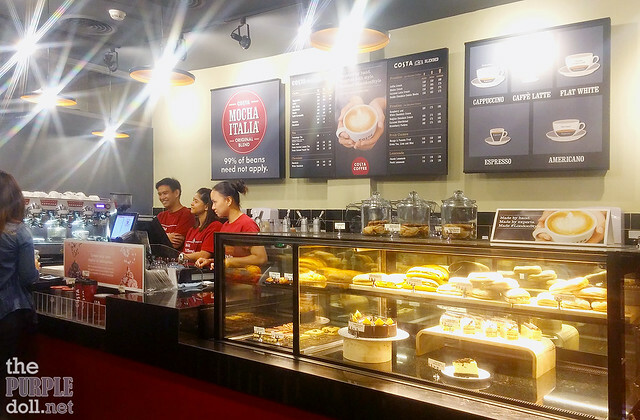 After opening its first branch in Eastwood Citywalk 1 last June 29, Costa Coffee has also opened its second branch at Robinsons Ermita last July 31. 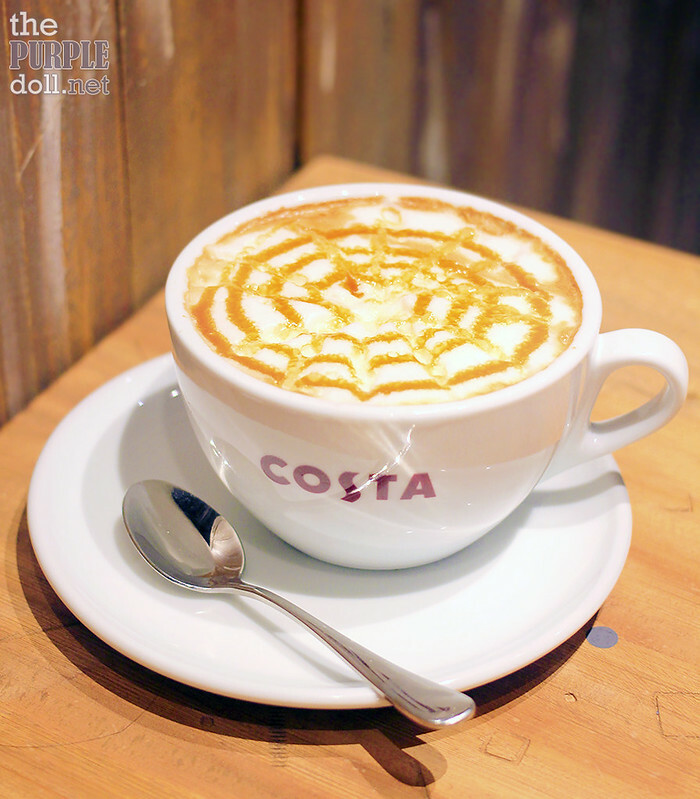 Other Costa Coffee branches will also open in Tera Towers, Bonifacio Global City, and Robinsons Antipolo this 2015. As a coffee, and coffee shop lover, I can honestly say that I have high hopes for Costa Coffee. I can't say yet if it'll top my list of favorite coffeehouses, but I can already say with conviction that I love their brew. Smooth, rich and well-rounded -- just how I like my coffee. And for a cafe that was still on soft opening when we visited, service was warm and friendly albeit mostly delayed. I'm hoping that service would be smoother and more efficient next time around. So Costa Coffee, see you again soon! Can't wait to see you review on it! ;) Hope you like their coffee as much as we did. You liked the sinful chocolate cake pala. D namin masyado nagustuhan. Next time, I will try their brownie variants hehe. A World of Gourmet Olive Oil with Oliviers & Co.